Our team understands the life-changing power of a beautiful smile, and with 15 years of experience in dentistry, Dr. Christopher Kim, Dr. Sonya Austin, and Dr. Amanda Taylor are your solution to dental dilemmas. Many people experience dental discomfort, and a variety of dental issues can significantly impact self-esteem and confidence. At our practice, we strive to help people correct these problems with gentle treatment and a caring attitude. At Lifetime Dentistry, our focus is on our patients. Our office has TVs mounted on the ceilings of every operatory as well as the waiting area, with complimentary beverages. We strive to make every patient experience as comfortable as possible for a stress-free visit. We offer sedation to keep treatments mild and easy for anxious visitors. We pride ourselves on our compassionate and friendly approach to our work. 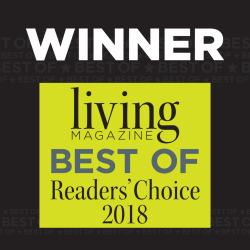 Our efforts have resulted in numerous awards, including Best of Keller in 2017 and 2018 by Living Magazine, and Top Dentist 2015-2018 by Fort Worth Magazine. We make every effort to make our practice a warm and inviting place. Conveniently located in a shopping center, our office has a beautiful, home-like atmosphere that puts patients at ease, and our staff of friendly and knowledgeable oral healthcare professionals make sure that every patient feels welcome. Whether you are suffering from mild toothaches, require more serious restorations, or simply want a more beautiful smile, give our office a call today. We proudly serve patients in Keller, Alliance, and North Tarrant Parkway. Keller Dentists at Lifetime Dentistry are dedicated to cosmetic dentistry such as Exams, Teeth Whitening, Veneers and more. We are looking forward to your visit to our Keller, Texas dental office.